This one skillet dinner is quick and delicious. Perfect for those days that you don't have a lot of time to cook. Want to know what others thought about this recipe? Would you like to comment on this recipe? Go to the Bean & Vegetable Skillet blog entry. 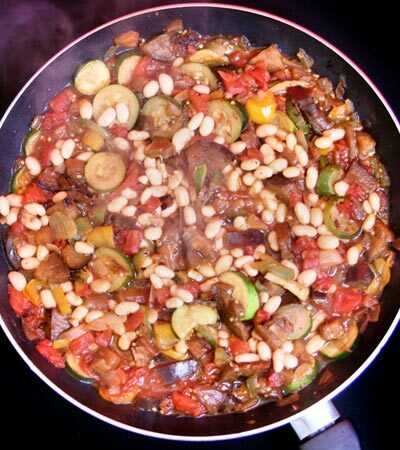 In a large skillet, saute onions, red and green peppers, garlic, zucchini and eggplant in the olive oil for 10 minutes on medium heat. Stir frequently. Add water, canned tomatoes, thyme, red and black pepper, salt to taste, cover and cook on medium to low heat for about 7 minutes. 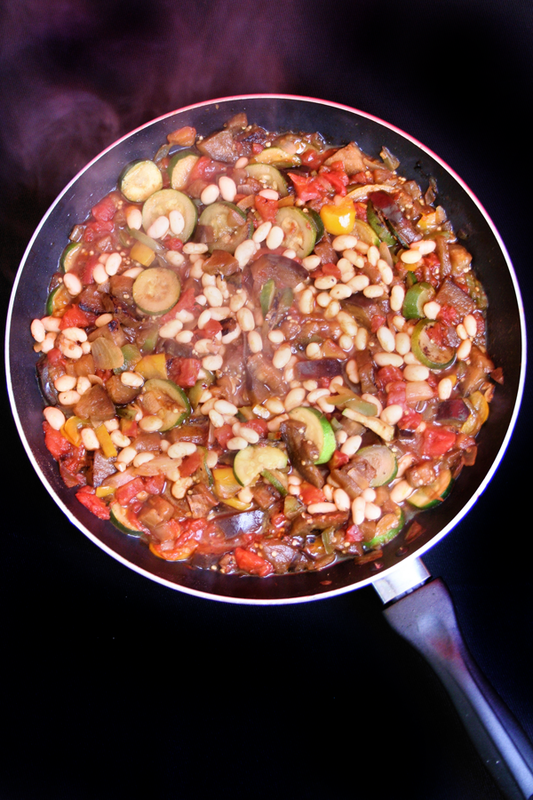 Uncover, add white beans and cook about 5 minutes on medium heat or until zucchini is slightly crisp.